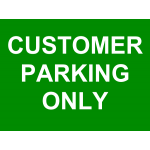 Clearly identifies who can park in the area and gives customers quick and easy direction. 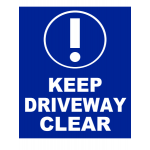 >Made from Foamex Plastic, a rigid and extremely durable plastic board that uses compressed foam, making the sign sturdy yet lightweight. Informs all motorists the area is private. Made from Foamex Plastic, a rigid and extremely durable plastic board that uses compressed foam, making the sign sturdy yet lightweight. 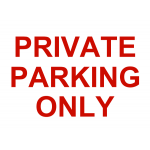 Informs all motorists the area is not to be parked in. Made from Foamex Plastic, a rigid and extremely durable plastic board that uses compressed foam, making the sign sturdy yet lightweight. 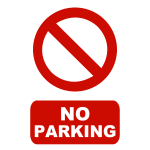 Informs motorists the area is not for parking. Made from Foamex Plastic, a rigid and extremely durable plastic board that uses compressed foam, making the sign sturdy yet lightweight. 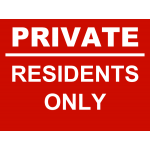 Informs motorists the area is private and for Residents Only. Made from Foamex Plastic, a rigid and extremely durable plastic board that uses compressed foam, making the sign sturdy yet lightweight. 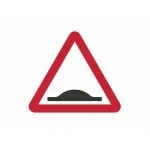 Made from durable, lightweight aluminium composite, our generic speed bump warning signs are the perfect way to warn motorists of speed control measures ahead.